Merchant & Gould, an intellectual property law firm, today announced it has won a major litigation victory on behalf of Voss of Norway, ASA over RevTech Inc. and Deco Patents Inc. A jury in the U.S. District Court for the Southern District of New York ruled that Voss did not violate a license agreement as RevTech had alleged. The case involved ink cured with ultraviolet (UV) light used to label the distinctive glass bottles in which Voss water is sold. RevTech held patents on specific methods of applying the ink and alleged that it also had know-how and trade secrets concerning the same. 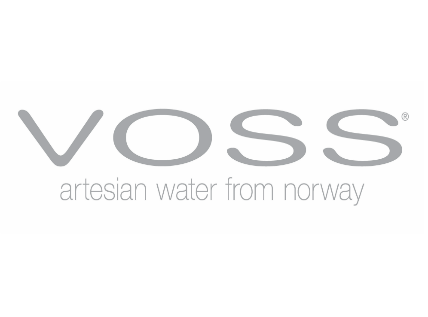 The parties entered a license agreement in 1999 and RevTech alleged that the license precluded Voss from ending their relationship when the license expired. As a result of this verdict, Voss is free to buy different UV ink from other companies. The Honorable Judge Louis Stanton offered high praise for Merchant & Gould's team. "Normally I don't do this, but I would just like to say to counsel at the end of this case that I thought, speaking as a former trial lawyer, that although the case was short, it was rather unusually intricate and challenging for presentation by the trial lawyers," said Judge Stanton. "It was a tricky case to present and I thought you handled it admirably." Judge Stanton further commented on Merchant & Gould attorney Regina Culbert's performance: "To my mind, particularly outstanding was Ms. Culbert's cross-examination...which I thought was deft, flawless, and lethal." Ms. Culbert leads the law firm's Seattle litigation practice. Jack Clifford, lead counsel for Voss, and a partner in Merchant & Gould's Minneapolis office, was thrilled with the result. "We had the right team for this complex case involving contracts, patents, trademarks and trade secrets," said Clifford. "Our experience and depth of knowledge brought about a very favorable result for our client." He added, "Our long term relationship with Voss helped us to quickly understand and react to developments in the parties' fast moving business relationship." Clifford also stated that his firm's experience and familiarity with intellectual property license agreements was a tangible benefit to the client and helped him explain the contract to the jury in a clear and understandable way, leading to a great result.